carfax report = 0 get_carfax(WDBUF87XX7B154178, N, 2019-04-22 02:41:33|0, autos, autoID, 1262) -- 980 Security Violation. 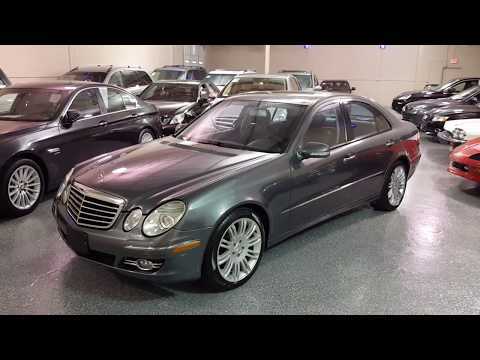 2007 Mercedes E350 4Matic, Sport Package,Flint Gray with Black interior, 92K miles, One Owner. Heated power front seats with memory. All Wheel Drive, leather steering wheel, fold down rear seat, power moonroof, factory navigation, satellite radio, power rear shade, headlight washers. 6-disc CD changer, automatic climate control, power tilt wheel, stability control. 18-inch sport wheels with new tires. Fully detailed. EXTRA CLEAN! Select Motors, LTD. has been visited 13,719,003 times.